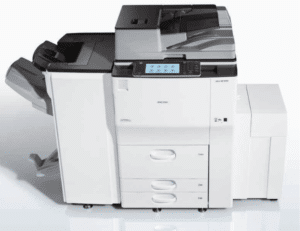 If your copier lease is ending then you need to make sure you follow the rules and return it the right way. Copier leasing companies like to make a habit of making this process more difficult than it needs to be. You could end up paying fees or being stuck on a lease for longer if you don’t follow the correct steps. Returning a copier is all about knowing what to do beforehand so you don’t get fined later. When you return a copier you first need to make sure that your lease is actually ending. Check your lease and see if there is any kind of automatic rollover included in the lease. If there is then you will need to write a letter and terminate your lease before the time comes. You can be stuck with extra months on your lease if you don’t do this. You will also need to check to make sure you package your copier correctly. Don’t just assume the whole thing goes together. Most leasing companies will make you package your toner in separate, sealed plastic bags to avoid spilling and staining. You may also need to package smaller parts on their own, like the paper tray. You can be charged if you do not comply. Finally, you need to find out who is responsible for returning your copier. Don’t just assume that your leasing company will come pick it up when your lease ends. Many companies make it your responsibility, which can be expensive. They do this to try and leverage it against you and make a deal to make your resign with them. Research on your own and see if you can get a cheap shipment. Returning a copier doesn’t have to be hard. You just have to make sure that you understand what’s being said in your lease so you don’t get taken advantage of.